Finding solicitors in the UK is easier than ever, but finding the right solicitor isn’t always as straight forward yet it is the single most important decision you will have to make when you decide to file a case in court. The solicitor you choose will be the key factor in determining whether or not your case is successful. It may seem slightly contradictory but even if you have a very strong case with all the factors seemingly stacked in your favour, you still need to find a good solicitor to fight your case in court. This is because when you file a case against someone, you can be sure they will try to hire the best solicitor they can to prove their case. The only way to get the justice due to you is to have someone who is equally skilled and experienced in legal matters and who knows all the legal loopholes to successfully counter their defence strategy. 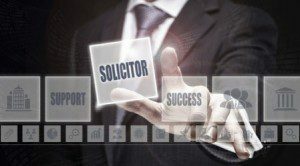 Here are a few important points you should consider if you’re looking to find a solicitor in the UK to take up your case and represent you in court. The legal system is complicated and covers several different areas, from family, mediation and financial to medical negligence, personal injury, employment and immigration law. Each of these areas is extensive in itself and involves numerous legalities. While all solicitors may know the basics of all the different legal areas, it is almost impossible for any one person to specialise in all of these areas. When you are searching through UK solicitors to represent you, take time to first determine their area of expertise and only choose a solicitor who has the experience and has earned reviews in that specific area of the law. You want somebody who understands the nuances of your case and is knowledgeable in the legalities that you are dealing with. No matter how highly acclaimed an employment solicitor may be, you do not want this solicitor representing you in your personal injury claim. Legal matters are hugely challenging. Depending on the type of case you are filing, you could stand to lose a lot if your legal case is unsuccessful. With so much at stake, you do not want to have a fresh-out-of-law-school graduate handling your case. Finding a solicitor with years of experience to represent you will help you feel more confident and reassured. Solicitors who have been practicing for several years have a wealth of experience and knowledge to draw on to help them successfully deflect all the “curveballs” the defendant’s legal team throws at them. Has the solicitor earned a reputation for winning most cases for the clients they’ve represented? No solicitor can win each and every case they take on but you definitely do not want to be saddled with a solicitor who seems to be on a losing streak. If you are considering a particular solicitor, before you go ahead and sign any agreement, ask around and check online for what their earlier clients have to say about them. A client who the solicitor has represented before will generally provide an unbiased opinion. Find out if they truly committed to the client’s case or whether they were perhaps distracted by other bigger cases they were handling at the same time. Would the client choose the same UK solicitors again if the need arose? Whether a client would pick the same solicitor again speaks volumes about their faith in that person. Do not presume anything when it comes to a solicitors fees. A friend may have told you that they paid their solicitor a fixed fee but this does not mean that every solicitor in the UK charges fixed fees. Four of the most common types of fee arrangements are by the hour, retainer fee (or payment on account) , flat fee and on contingency. A contingency payment is a percentage of the amount recovered from the defendant. Understanding how the solicitor will charge you and getting that agreement in writing is of paramount importance. If something is unclear, get it clarified right away. If the solicitor is charging you on an hourly fee basis, find out details about the minimum billing increments and whether every phone call they make or email they write is included in the fee structure. Most importantly ask for an estimate of how many hours the case is likely to involve. It’s a tough question to answer as there are numerous variables involved but you need to get an approximate number so you can determine if you have the funds to go ahead. Most personal injury solicitors will have take up your case on a No Win No Fee arrangement, wherein you do not have to pay any upfront fees at all at any stage of the case. You only pay the solicitors a contingency fee if they win the case for you. The amount you will have to pay will be a percentage of the settlement, which will be decided and accepted by you and your solicitor right at the outset. Several things can happen from the time you find and hire a solicitor till the time the case is closed. It is important for you to be kept updated on the progress of the case so you do not spend endless sleepless nights wondering what is going on. There is nothing more frustrating than to have weeks or even months go by without knowing how the case is progressing. You want to know that your solicitor is working hard on your behalf and the only way to know this is if they communicate with you regularly. Also, while the case is ongoing, an issue may crop up that you need to intimate your solicitor about or you may have a question that you need answered immediately in order to make other decisions. You should not have to wait several days to speak to your solicitor every time you have a problem. Ask all prospective solicitors how you will be able to contact them and how long it will take them to return your communications and hold them to this if you hire them. When you are reading reviews on solicitors here in the United Kingdom, check what earlier clients have said about their promptness in returning calls and in keeping them abreast of the progress of their case. Should you find a solicitor who is reputed to be the best but who might make you feel uncomfortable, or would it be better to find a solicitor who has a modest reputation but whose personality is more compatible with your own? It can be difficult to decide sometimes. After all you do want the best. However, if you are uncomfortable with the solicitor you’ve found, you may never be able to achieve that ideal client- solicitor relationship that is so crucial. You need to be able to trust your solicitor and confide in them about what’s on your mind. You cannot do this when you are not comfortable with someone. When considering personality and vibe, trust your instincts and find a UK solicitor whose personality is compatible with your own and who you feel comfortable with. Where is the solicitor based in the UK? In most cases, where the solicitors are based in the United Kingdom may not be an issue in the selection process. It is far better to get the best legal advice even if you have to travel for it rather than settle for mediocre legal advice that is around the corner from you. However, sometimes location does matter. If the solicitor you have shortlisted is based in another city in the UK, here are a few questions you need to ask to determine whether this long-distance relationship with work. Will the solicitor take on your case based on one visit or no visit at all? What is the likelihood that you may have to visit the solicitor’s office several times during the case? Are you able to visit the solicitor personally or do you have any disability or other commitments that do not allow you to make that trip? Will you be charged for every long-distance call every time the solicitor calls you? In most cases, clients prefer to find a solicitor who is nearby simply because of convenience and expenses, provided of course they tick all the other boxes. Does the solicitor speak your language? Finding a solicitor who can communicate with you in your language is important but it can also be challenging. With so many languages and dialects out there, no one solicitor can be expected to master them all. That is no reason for you to strike them off your list. A better idea would be to call them and ask if they would be able to arrange for an interpreter to be present at the meetings. The best place to start your search for an ideal solicitor is with your inner circle – your family, friends, neighbours and work colleagues. Personal referrals always work best because you are will get unbiased opinions and recommendations from people who care for you. Even if this search does not turn up any UK solicitors with the specific area of expertise that you require, your brother’s medical negligence solicitor may know a personal injury solicitor who is perfect for the job. Solicitors know professionals who practice in other areas and they are the best people to use for recommendations.